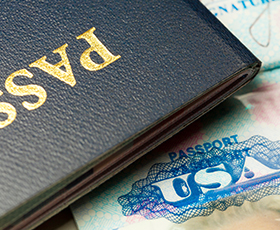 Acceptance Agents for US passports have an important role helping US citizens get passports. Passport Acceptance Agents are government employees who are trained to review passport applications in detail. There are thousands of them across the United States; you can find Passport Acceptance Facilities housed in major post offices, clerk of the court offices, even some public libraries and other government buildings. Who needs an Acceptance Agent? The applicant must appear in person at the Passport Acceptance Facility; you cannot send a friend or family member to do this for you. If you are applying for a passport for your child (under age 16), your child needs to go to the Passport Acceptance Agent along with both parents. There are thousands of Passport Acceptance Facilities, located in government facilities such as post offices and courthouses. You can find a convenient facility at http://iafdb.travel.state.gov/. Please note that some Passport Acceptance Agents require that you make an appointment for service in advance. What is needed when going to an Acceptance Agent? Identification – You will need valid identification, such as a driver’s license or military ID. Proof of US citizenship, such as an original or certified copy of your birth certificate. Completed passport application – do not sign your passport application until the Passport Acceptance Agent tells you to do so. We recommend filling out your application ahead of time, but you can also get blank forms at the Passport Acceptance Facility. Passport style photo – Some Passport Acceptance Agent locations have photo facilities on site, but it is safer to get your photos ahead of time. All other required documents for your passport service – Double check your list of requirements – if you forget anything, you will have to come back! Your checkbook – You will be writing two checks, one to pay for the “execution fee” for the Passport Acceptance Agent service and one to the US Department of State. What happens after I visit the Passport Acceptance Facility? If you have your passport application processed by mail, the Passport Acceptance Agent will send it in for you, and all you have to do is wait for your new passport to arrive by mail. You can expect to get your passport in 6-8 weeks if you use the standard processing speed, or 2-3 weeks if you use expedited passport service by mail. Tell the Passport Acceptance Agent if you plan to use a passport expediting company. You will need to have them give you the sealed envelope, which you will then send in to the passport expediting company. On your sealed envelope, you will see that it is marked “to be opened by State Department personnel only.” Do not open the envelope for any reason! If it is opened, it is no longer valid, and you will have to go back to the Passport Acceptance Agent to have your application executed again. You will also see a date stamp on the envelope. Your sealed envelope must be submitted to the State Department within five business days of the date it is sealed. Send it to the passport expediting company right away, so that it may be submitted before the deadline.